← Awareness … It is What Dear Friends !? How we can Arise it among Human Beings !? Don’t Ever Diffuse Artificial Fragrances !!! Always choose Pure Essentials Oils !!! When you use Lavender essential oil or an absolute for Aromatherapy purposes you reap all the good benefits Lavender has to offer. Some of the main Lavender Aromatherapy benefits include promoting stress relief, being a natural remedy for insomnia, and boosting / supporting a healthy immune system! 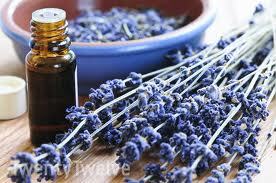 Tags: Aromatherapy, Calm, Essential Oils, headache, Insomnia, Relaxation !